Phenol is a widespread pollutant in many industrial wastewaters. It diminishes biogas formation in anaerobic digesters. We found that a two-stage anaerobic digester (acidogenic and methanogenic) fermented nutrients without inhibition by accumulation of phenol. 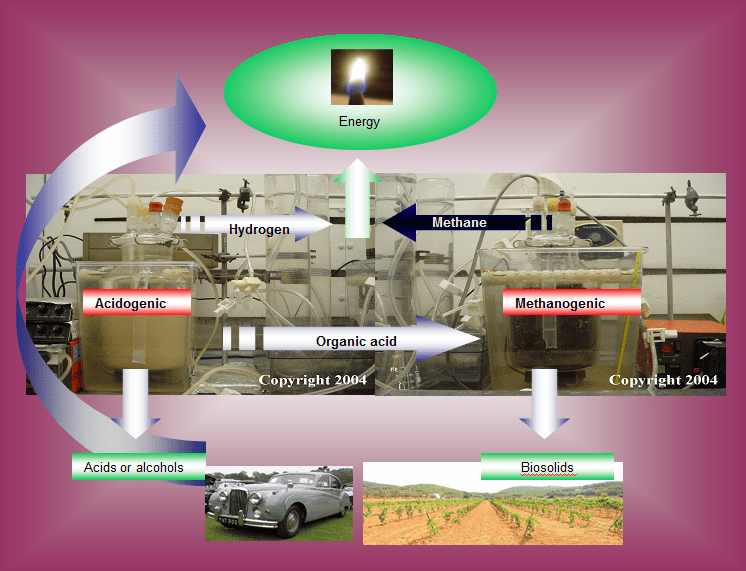 The acidogenic reactor also prevented inhibition of biogas formation in the second phase (methanogenic), by holding phenol and fast-produced organic acids. Batch TSAD is a potential wastewater treatment option to decontaminate streams containing nutrients contaminated with phenol. This system enhances biogas production and allows better control of the acidogenic and methanogenic phases.